A Night With Janis Joplin is having a powerful, uplifting impact on Broadway audiences, from original fans who come from around the world to experience her magic again, to their children and grandchildren, with whom Janis’ first fans want to share the experience. As a kid, I spent the summer of 1969 in Bethel, New York, near the Woodstock Festival. My family, our neighbors and I gave out hundreds of cups of water to the masses who abandoned their cars and hiked the final few miles to Yasgur’s Farm on foot. I didn’t get close enough to see or hear Janis’ historic performance then. But seeing A Night With Janis Joplin was the next best thing. 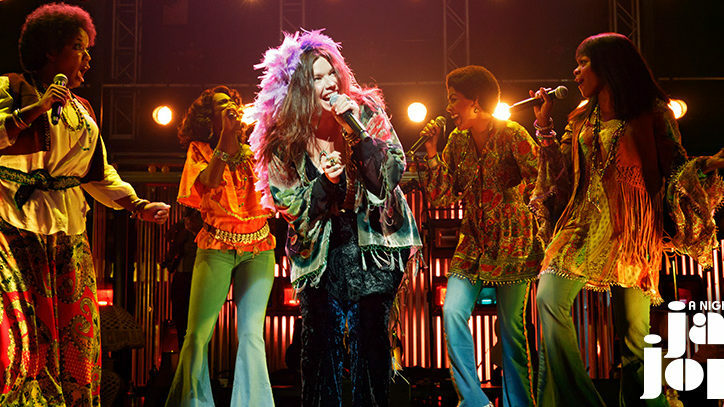 In this Q&A, the show’s writer and director, Randy Johnson, discusses how Janis’ positive essence comes alive on stage, and the profound impact she and her story have every night on audiences of all ages. Q. Having directed the original Elvis the Concert and produced Always…Patsy Cline and now written and directed A Night With Janis Joplin, it appears you are attracted to pop culture icons. What is it about these people and their stories that make them compelling subjects for the stage? A. (Randy Johnson) Bringing these legends to the stage in “theatrical portraits” keeps their legacies alive today and for generations to come. Some might call this a “jukebox musical,” which it is not. A Night With Janis Joplin is her story as told by Janis herself. Janis Joplin, Elvis Presley, Patsy Cline, Conway Twitty and the other musical icons I’ve chronicled on the stage have one thing in common – they were ordinary people who achieved extraordinary success by simply following their path. Q. Janis shares the stage with Bessie Smith (1920s-30s), Etta James, Odetta and Nina Simone (1950s-60s), and Aretha Franklin (1960s), making her both the central character and a storyteller about the lives of her musical influences. What story did you set out to tell and why? A. (RJ) It could have been a “life story” but I felt that too much attention had been paid to the events and demons that led to Janis’ death and not enough to her life and what drove the little girl from Port Arthur, Texas to heights she couldn’t have imagined. In discussions with her siblings, Laura Joplin and Michael Joplin, and after reading Janis’s letters and unpublished journals, a portrait of Janis Joplin emerged that needed to be told. It was important to let the audience know that everything in Janis’s life had a source, a truth. If I could show who Janis was and how she came to be, the audience would come away with a more complete portrait of Janis Joplin and hopefully a spark of a greater understanding of themselves. Q. Janis was a complex person, with great personal strengths and also weaknesses. How did you set out to present the essence of Janis, her talents and her flaws, and what challenges did you face in adapting her persona to the stage? A. (RJ) The challenge I faced was the misperception that Janis Joplin was simply a hard drinking, tough chick who emerged from nowhere, lived hard, sang loud and died fast. Everyone knows she died from a drug overdose, and that is not the point here. In getting to know Janis through her writings, her family, family pictures and her art, I came to the conclusion that Janis herself needed to set the record straight and the way she could do that was to invite the audience to spend A Night With Janis Joplin. I woke up one morning at 3am and knew exactly what the show would be. I wrote it as if I was writing it for Janis to perform herself. What songs would she sing, what would she wear, what would she say if she had one more concert to give, and how would she set the record straight? Janis herself was at my side and in my head as the show came to life on the page. A. (RJ) Casting is crucial in any show and this one is not any different. The singer/actress needs to be as authentic as Joplin herself, with a real comprehension of the blues form. It can’t be a tribute or “taste of” or style – it has to be real. Mary Bridget Davies came to the open call in New York City and opened her mouth to sing and we were all blown away. She just sang and had it. She read the lines and just had it. A good friend of mine brought Liza Minnelli to auditions that day. 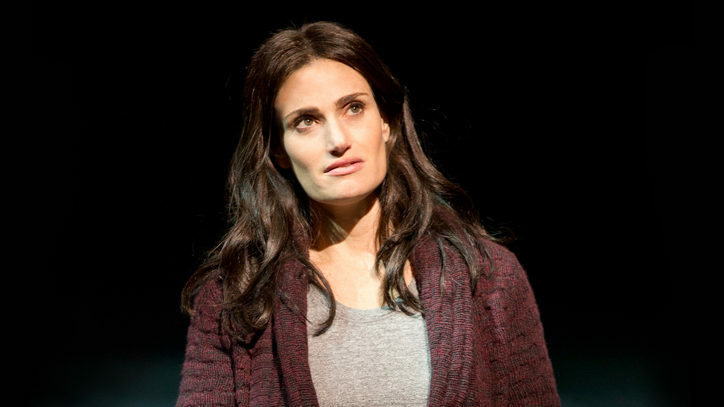 As Mary was reading the lines, Liza whispered in my ear “now that is a star.” Remarkably enough, our outstanding understudy on the tour and now on Broadway, Alison Cusano, was discovered that day, too. It was a very memorable day. Q. 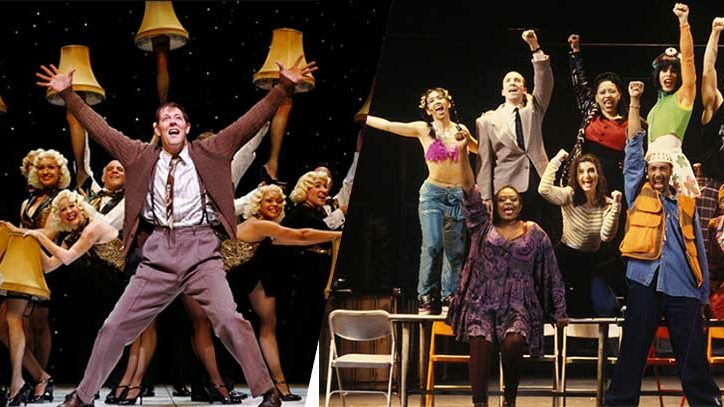 “Cry Baby,” “Me and Bobby McGee,” “Ball and Chain,” “Summertime” and “Down on Me,” are just a few of the songs performed to perfection by the show’s five cast members and on-stage musicians. How did you make the music selections, what was your approach to the presentation of the material and how important was it to be historically accurate in the context of Broadway? A. (RJ) It was easy for the “known” songs, and thanks to Laura and Michael Joplin we found rare live recordings of every song in the show. It was important to see the source of the song and where it eventually landed in her career. In the moment where “Summertime” is sung by the blues singer leading into Janis’s version, the audience begins to comprehend the effect these remarkable women had on Janis. She’s reaching for her self worth in the song “Cry Baby,” but realizes as the song ends that it all may be futile as the blues overtakes her with a premonition of the inevitable.. Every song has its place in the story. Q. Audiences at the Lyceum Theatre are both rekindling their love affair with Janis and basking in their memories of their own lives. Based on the overwhelmingly positive response to the show, they are also sharing their experience with their children and grandchildren. Did you have any idea what kind of catalyst the show would be in bridging the generation gap? A. (RJ) I had no idea the impact the show would have when I wrote it. Recently I met a couple who got married at Woodstock the day Janis performed there. They had always wanted to see Janis Joplin “one more time.” The couple and their children and grandchildren had flown in from the Midwest to see our show and share the “Joplin Experience.” It was very emotional for all of us. The stories and memories that audience members share with me after the show are remarkable, heartfelt and touching. I am profoundly appreciative of it all.